The quality of drinking water can change with time and become contaminated with harmful bacteria. The Whole Home family of UV disinfection systems with integrated pre-filtration provide a reliable, economical, and chemical-free way to safeguard drinking water in any residential application. Absolute H2O's products have been designed and tested to ensure quality drinking water is at everyone's finger tips. The IHS 10 series offers disinfection for flow rates as high as 12 GPM, covering a wide variety of residential applications. The Absolute H2O IHS-10 ultraviolet water system provides a point-of-entry water treatment system with both disinfection and filtration, for a complete water disinfection system. The Absolute H2O IHS-10 is a compact unit that incorporates the UV-10 disinfection system and two filter housings (taste and odour cartridges) all on the same heavy-duty installation bracket. This modular system incorporating a controller is ideal for any application requiring a high flow rate in a compact space. 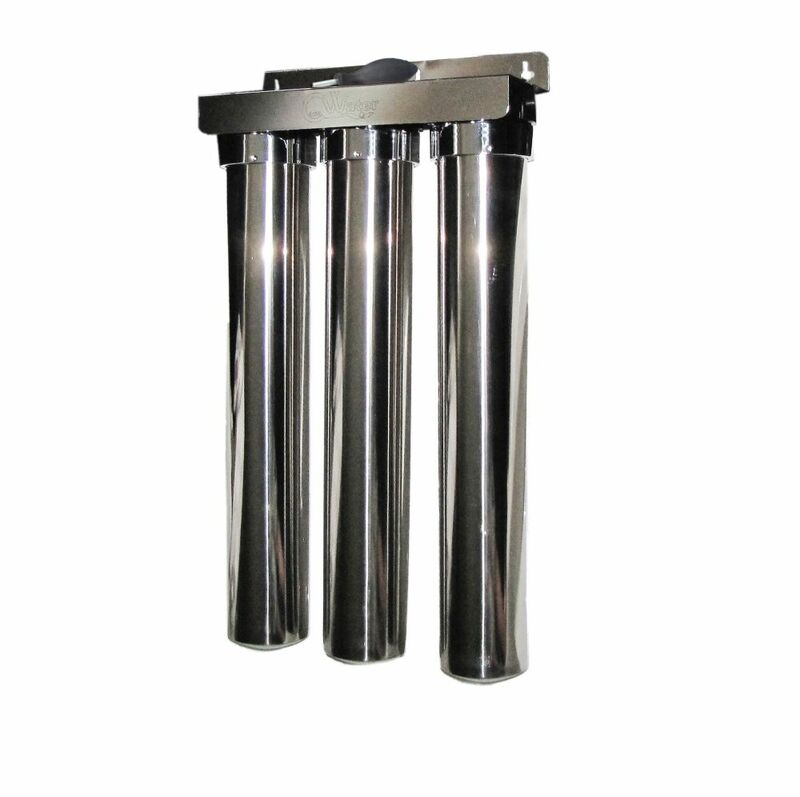 Whole House Stainless Steel Water Filtration System Alpha CasaWater whole house stainless steel water filtration system provides purified water at every source in your house. The water filtering process consists of several stages dealing with numerous contaminants such as: dirt, sediment, rust particles,etc; chlorine, bad taste and door, lead and heavy metals, etc. ; organic chemicals, etc. ; common bacteria, viruses and spores, etc.